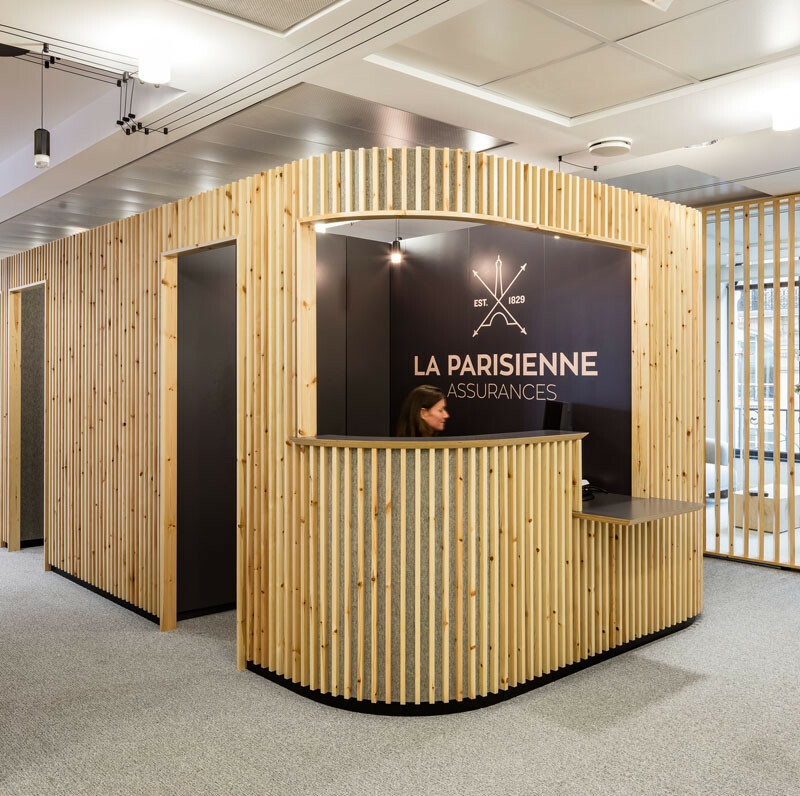 We recently shared an idea for a low-budget wood fireplace surround, and here’s a similar idea that was used for an office space in Paris, France. 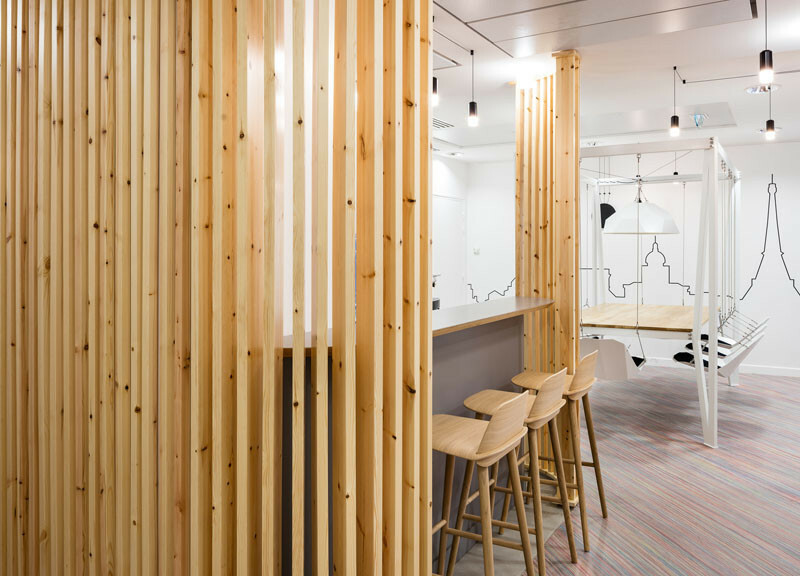 Both are examples of giving a space some personality, by using a simple, easy to find and easy to work with material. 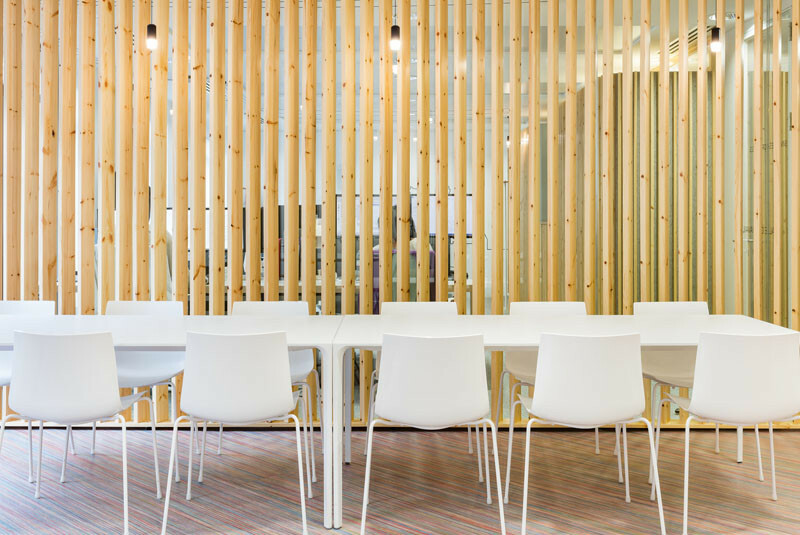 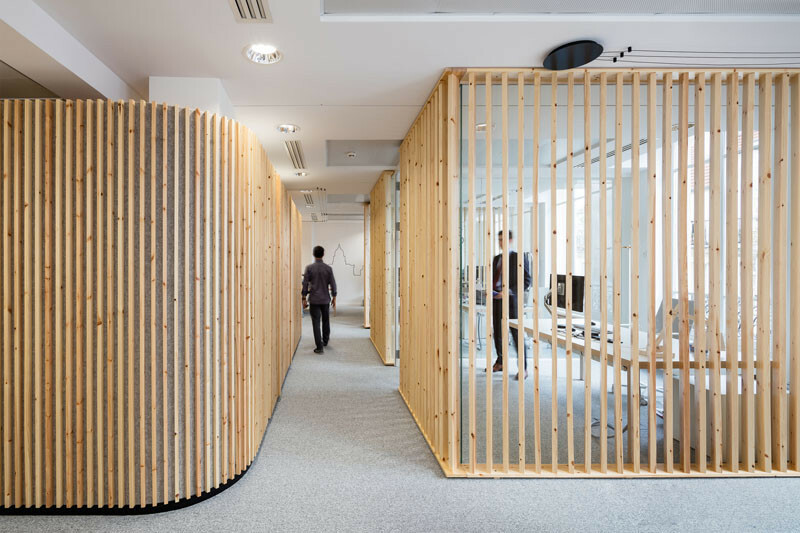 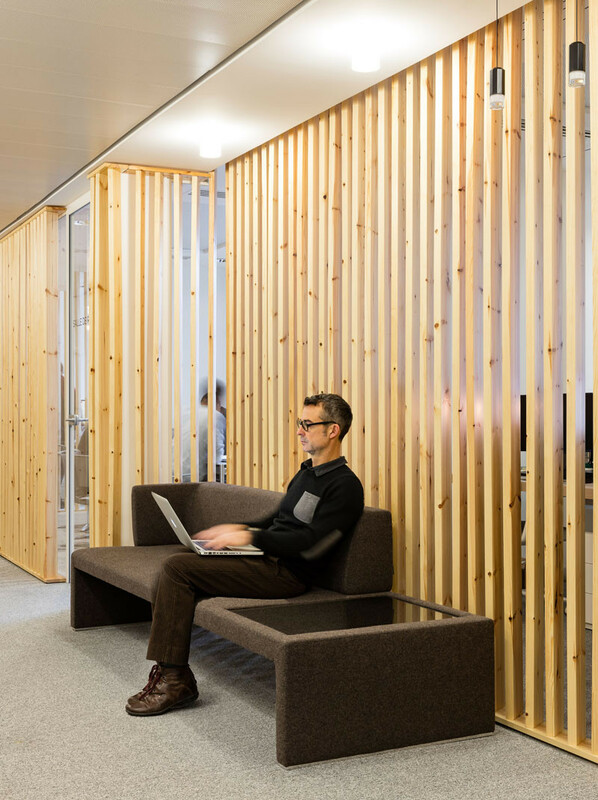 For this office space, Studio Razavi architecture used basic pine lumber, installed vertically, to create a distinct look for an insurance company headquarters. 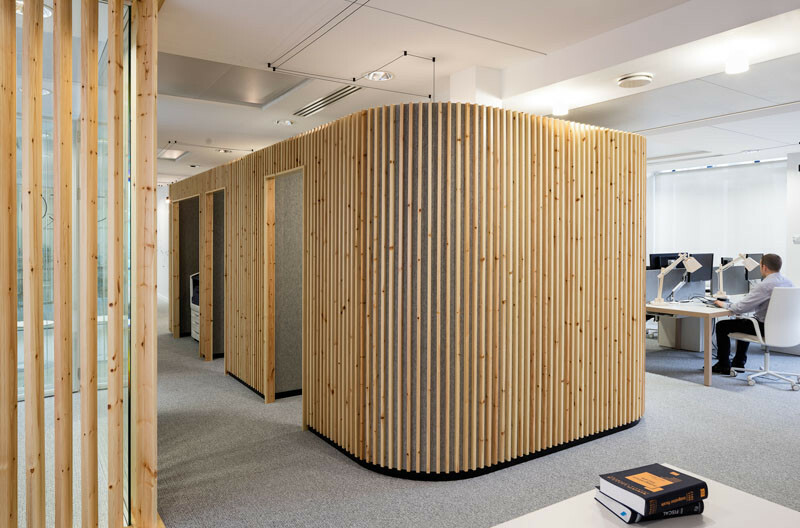 The designers chose to use pine because of its imperfections. 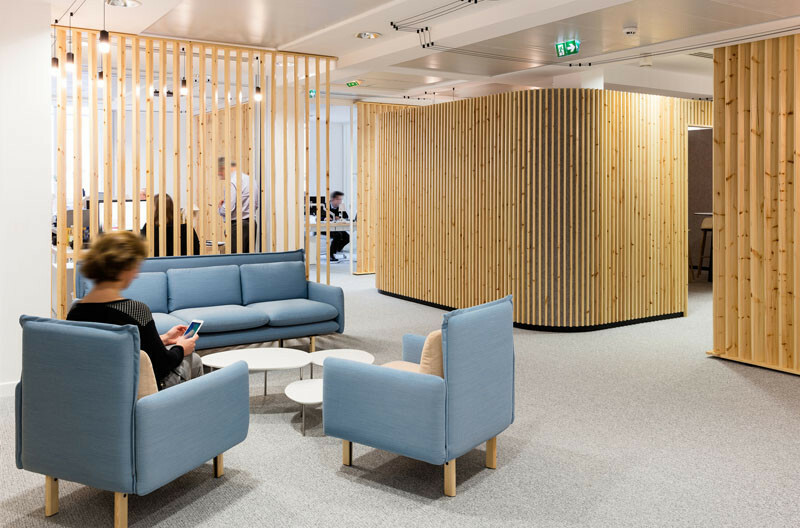 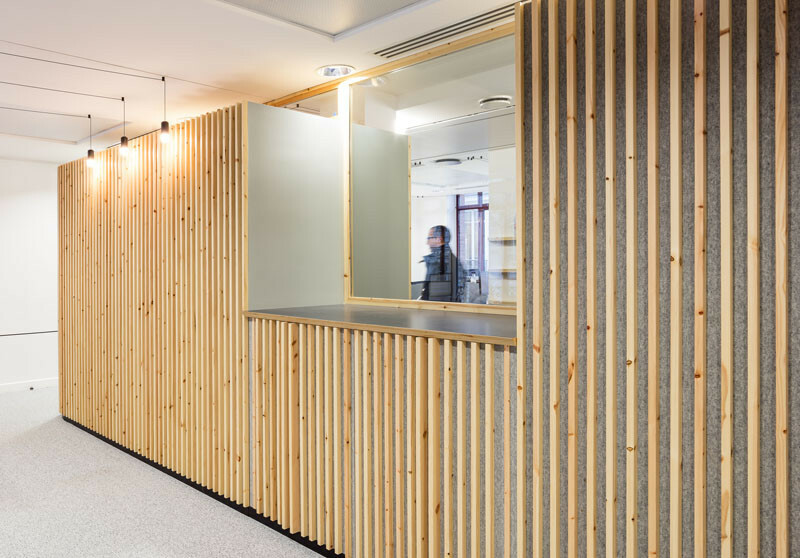 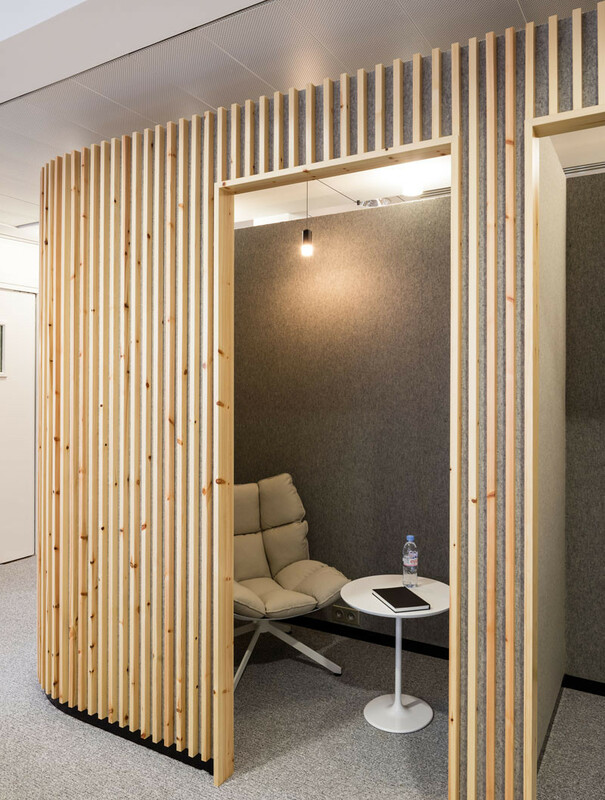 Glass-walled offices have had standalone pine walls built around them, increasing the privacy, while still allowing light to pass through.